Having immersed myself in the environment, culture, and understanding of professional membership organisations this year, no word has been used more than ‘engagement’. But how are we defining and tracking it, and more importantly, how should we be? I decided to find out. Wanting to understand professional membership organisations, I attended the MemberWise Network’s Digital Excellence conference 2018. We heard talks from different organisations about their digital journeys, and the steps they were taking to try to adapt to the changing landscape of tech and social media. I’ve been given permission to use graphics from a key conference handout: the 2019 results summary from a recent survey of professional bodies, charities, and trade associations. 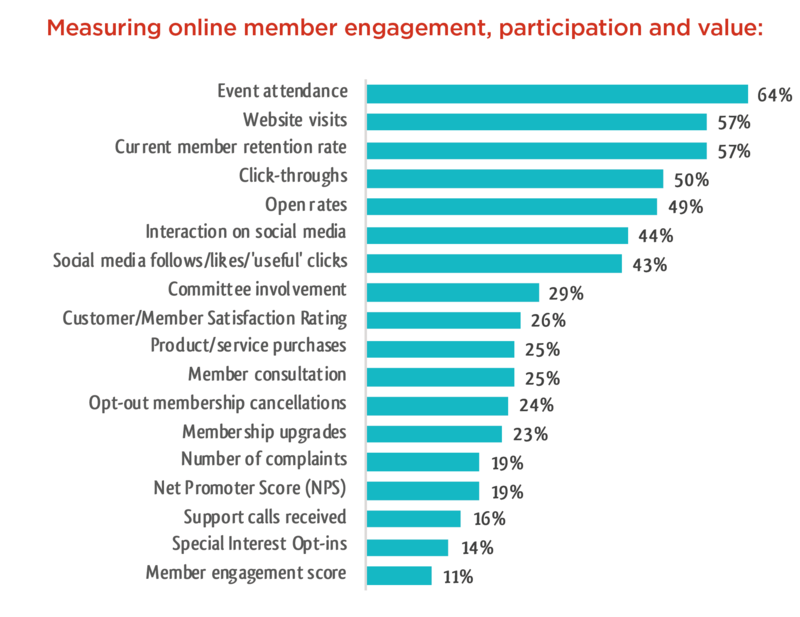 For the third year running, engagement was cited as the top goal for membership organisations through their digital journeys. Membership satisfaction and value were also top priorities. Clearly a strong trend was emerging. Despite the clear emphasis on engaging members being a top priority, formal plans/strategies don’t seem to be in place. Only 30% of the organisations have a formal strategy in place, and 4 in 10 have no clearly defined Member Value Proposition. When investigating ‘major operational challenges’, the inability to measure member engagement ranked fifth. Despite it being a top priority, it is clear that organisations do not have a clear strategy or plan in place, and this is likely because it is difficult to measure. With this apparent inability to measure member participation, I wondered what metrics were being used to track it, and the interpretation of this data. I found that, quite crucially, the data being used by membership organisations is transactional, rather than relational or emotional. Behavioural activities such as event attendance, click-through rates, open rates, and website visits are the metrics that are being used to determine levels of success. Event attendance was prioritised highest, with website visits and retention rate at joint second. Click-throughs and open rates respectively ranked fourth and fifth. Cold metrics are being used. Behavioural and transactional, rather than relational and emotional. Using data analytics from members may only serve to highlight their physical activity, rather than their emotional attachment to the organisation. Sentiment-based statistics would underpin the very definition of engaging, as satisfaction relies heavily on sentiment. Perhaps it’s not merely what data is collected, but rather, how it’s analysed. I turned my focus to what was being done with the metrics, and why there was such a gap between having silos of data but no way of measuring true engagement. 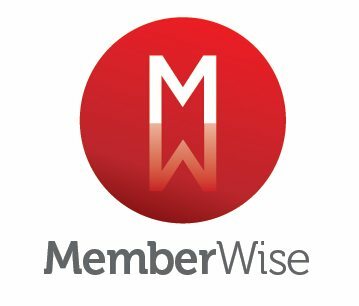 The MemberWise results summary outlines that “more than half regularly report their website analytics to their senior management team (56%) and almost half review them at operational meetings (49%) […], with only a small minority of organisations (10%) generating reports that provide engagement scores”. More cracks appear. Perhaps it is not only the inability to measure participation, but at a deeper level, the inaccuracy of data reporting. More puzzling, then, is the fact that ‘rendering personalised content according to online behaviour’ and ‘fully extracting value/business intelligence from data provided’ featured lowest on the chart of how organisations were using website analytics to learn about their members. How can converting the data into usable, scalable, guidance which can affect decision-making not be normal practice, and the top most likely use for website data? Perhaps it is misleading to call it ‘analytics’ when it is in fact not actually being analysed. Being able to correctly process, analyse, and report on data is key. The cold metrics will allow each organisation to personalise services according to their members and users, driving success through engaging. In a nutshell, what does it mean to actually engage your members? 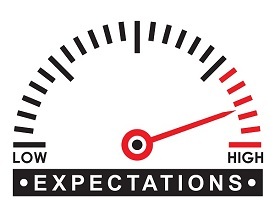 In the examples above, organisations are using metrics such as website clicks and open rates, but there are not only steps missing in that process (such as analysing what that data is telling you and using it to drive organisational change), but also, critically, those metrics are content-driven rather than response-driven. What is your member clicking on? A third-party journal article that you have shared on your website about current thought leadership? A photo that you’ve uploaded from your event last week? Once you’ve established what you’re measuring, i.e. what they are actually clicking on, it’s time to ask yourself: ‘What sort of reaction do I want from this?’ Do you want your members to merely click on a link, and hopefully read it, or would you prefer it if they responded to it in some way? If your ultimate goal is to get them to like, share, or comment on it, you need to change the way you create content for this to be your main focus. Rather than writing content that is meant to just merely be viewed and clicked on, make the calls to action glaringly obvious in your content. If, as this report states, content on social media is both successful and simultaneously driving success, why not apply the same principles from that content creation to that of your website? The ‘online community platform’, which is one of the only places to get full emotionally-driven responses from one’s members, features low down. It’s no use to merely be creating content and hoping that members engage. Critical action must be taken, such as conducting more surveys and asking members for feedback on the current information readily available. Does it suit them? Is your organisation aware of this? The less distance there is for the user to travel from a point of wanting to give feedback, to the outcome of it being implemented, the more engaged your members will be. Find yourself wanting to convert the sentiment-based measures into a more ‘real’, evidence-based science? Compile a list of the members you’d like data for. Then, give a numerical weighting to each level of membership, or action that you’d like them to take. Each member’s value is derived from multiplying them by their weighted actions, and levels of membership. From this, you get a mathematically-based engagement score. If, say, volunteering, is highly regarded in your organisation, then give this a stronger weighting than if the member interacted with your organisation in another way. Further down the line, you can use this data for useful prediction insights. Some organisations are realising this already, and from this report,”some 35% now employ a dedicated person, such as an Online Social Media Coordinator/Manager or Online Community Manager”. As the focus on digital grows, more organisations are realising that they must dedicate more time to cultivating the perfect online community for their members. A happy online community is now the way to ensure member engagement. As social media has taken over our society, it has become the first stop to getting people to engage in face to face situations. How do we get people to come to our events? We tell them about the events on social media platforms and websites. So now the question is not ‘why is engagement dwindling’, it should be ‘why should my target audience pick my events over other available events?’ Focus on how competitive your content might be. Do you know who your users are, what they want, what they like, and do you know how to best attract them? When the Chartered Institute of Personnel and Development (CIPD) talked about online optimisation, they mentioned that optimising their website for mobile usage increased traffic from 6% to 30%. A great example of a statistic which accurately depicts the behaviour of their users, who clearly use mobile, and records a significant increase in engagement because of their direct decision-making and implementation of change. Here, they turned their info into insight, and into results. To end, I’d like to share a quote I heard in passing at the conference: “people are using engagement as a buzzword, and it’s getting boring”. Make it your mission to avoid this at whatever cost. Don’t fall into the trap of making your member engagement into a nebulous concept, when in fact, it is one of the main drivers of any potential success and growth going forwards.